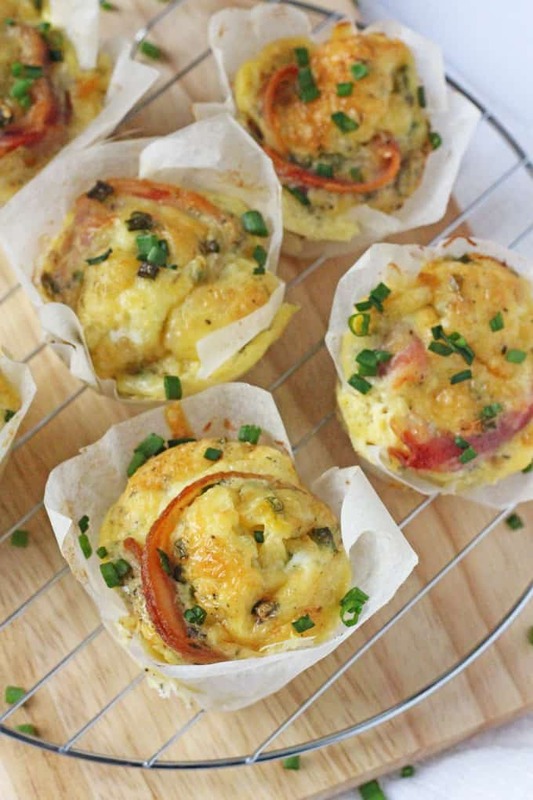 The whole family will love these delicious Egg Muffins packed with streaky bacon, cheddar cheese and chives! I had no idea how to categorise this recipe. 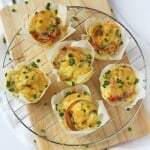 Egg muffins are generally seen as a breakfast recipe but we quite often eat these for lunch and sometimes as a snack too. Basically they’re super versatile and good to eat any time of the day! 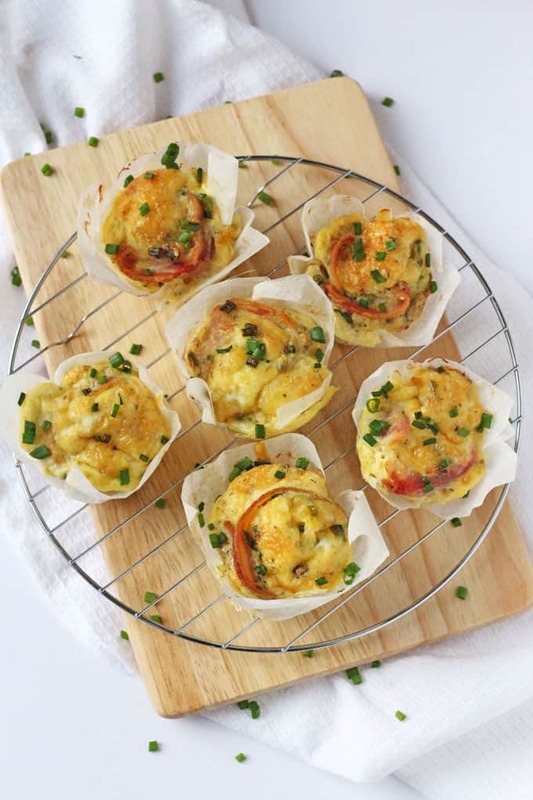 There are so many variations to the classic egg muffin recipe but I really love the combination of bacon, cheddar cheese and chives. Using whole slices of streaky bacon means there’s less prep as you don’t have to cut the bacon up and also creates a delicious swirl of bacon throughout the muffins! For the recipe check out the video below (and don’t forget to subscribe to my You Tube Channel to stay up to date on all my videos!) or a printable version of the recipe is available below too! 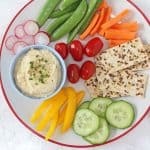 If you try this recipe come back and let me know what you think, I always love to hear your feedback. Preheat the oven to 175c / 350f. 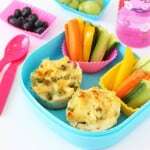 Fill each hole in a 6 hole muffin tin with a square of parchment paper. Line each of the holes in the muffin tin with a slice of streaky bacon and bake in the oven for 10 minutes. In a large jug crack in the eggs and whisk with a fork. Add the cheese, dried and fresh herbs and pepper and mix again. Pour the egg mixture into the muffin holes on top of the bacon, dividing equally between each. Bake for 20-25 minutes until the muffins are cooked and firm and starting to brown on top. 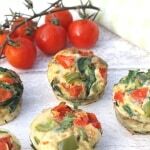 Serve immediately or allow to cool and store in the fridge for up to 3 days in an airtight container. Both my kids loved these. My 1 yr old daughter doesn’t eat much and she had 3 minis! Oh my god, we love these! I even made a batch for my grandma who is quite elderly and doesn’t have much of an appetite these days and she really enjoyed them too. We will be making these a lot! Hi! Sounds so yummy! Im making this right now. What dry herbs do you suggest work well with the chives? Hi Stephanie, I use mixed dried herbs all the time. Or Italian herbs / oregano would work well too.